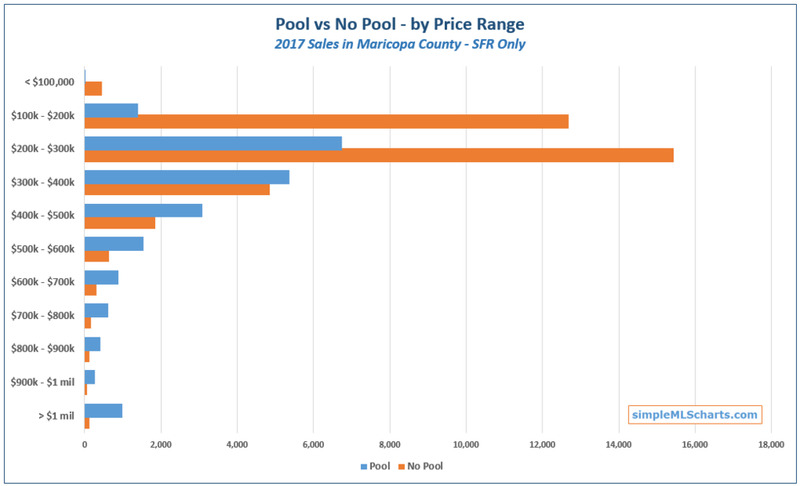 50% of Mesa sales were between $200k and $300k, and 88% were between $100k and $400k in November. That being said, there were several homes which sold for more than $500,000, and the top sale was close to $1.5 million. More than 50% of the homes sold in Glendale last month were in the $200,000 range. That being said, there were still quite a few sales greater than $400k, and one home sold for more than $1.3 million. Simple MLS Charts is supported by readers like you. Please consider becoming a patron with a small monthly pledge on Patreon.